My perspective on the Ken Burns documentary, “The Vietnam War,” and what it means for Lao, Hmong, Cambodians and others, was recently posted over at WHYY in Philadelphia! Catzie Vilayphonh’s story will be coming up soon. Keep an eye out for it! I appreciate everyone who’s given us all some great feedback on this subject. You can read my poem “Deja Vu” or watch a live reading of my poem, “The Last War Poem,” which will be part of a November 7th documentary premiering on PBS in the Central Valley of California. That was a tough piece to write because there’s so much to discuss, so many questions and stories to be heard, both at a personal level and a community level. Approaching half a century in the US, each day sees the passing of elders and vital memories that have become irrecoverable, unduly dismissed by those who can’t be bothered to create a space for them in this bright tapestry of our American stories. To others who’ve been struggling to find the words, please take this as my encouragement to keep going, keep creating. Your stories matter. Some of you asked me recently on my thoughts on how to make concrete strides in creating a space for our literary and expressive culture, and my response can be found here in part with this conversation on the emerging SEALIT effort. I also continue to do my work with Sahtu Press and the SEAD project to find a way to bring our voices forward. I remind you that many of these journals are looking actively for writing from Southeast Asian writers, particularly those in the diaspora from the war. We must be proactive if we are to attain some measure of media justice and cultural parity and pluralism that lives up to the sacrifices our communities made to bring us to this point. In post-war reconstruction, our stories are among the first things that help us to retain our roots and heritage, when we have almost nothing else. Years later, those stories play a key role in helping us advocate and transform the world into a space of true freedom and equality. We must remember, we must imagine, and we must work together against anything that would silence us and erase us. Gatherings like the national Lao American Writers Summit could not have been convened in Minneapolis, San Diego, or Seattle without great intention or strategy. We had to choose to convene and leverage our resources in the unwavering belief that our voices mattered. We cannot, and must not wait for strangers to write about us, to define us, to deem us ‘interesting’ and ‘worthy’. We must value our own stories, and see for ourselves that our heritage is not a liability but a strength. For those of you trying to help our emerging youth writers to pursue their education, please help them to apply for scholarships such as those offered by the Ravens Forward Air Controllers and the APIASF network. Together, we can make vital steps to creating a meaningful legacy for healing from our wars, and rebuilding from those ashes. I hope people take a look at some of these amazing Lao, Hmong, Khmer and Vietnamese poets doing some wonderful work these days that I mention next. Please consider bringing many of them to your classrooms, conferences, and other special gatherings to discuss their journeys with you. Even a lunch or dinner with them will widen your understanding of these complex paths our lives have taken over the decades. Catzie Vilayphonh is an award-winning spoken word poet and writer. As a founding member of the group Yellow Rage she was one of the first Asian American females to appear on HBO’s Def Poetry Jam. Through her work, she provides an awareness not often heard, drawing from personal narrative. In 2013 she received the Knight Foundation Arts Challenge Award to start “Laos In The House” a project which aims to promote story-telling in the Lao American community through the mediums of art. This culminated into her curation of a multi-disciplinary gallery exhibit and performance showcase featuring work by other Lao American artists which debuted in Philadelphia in 2015. She has been an Artist in Residence with the Mural Arts of Philadelphia’s Southeast by Southeast Program. Throughout her artistic career Catzie has become a Pennsylvania Council on the Arts Award recipient, a 2012 Creative Capital finalist and a 4-time Leeway Foundation honoree. She is a co-founding chair of the Lao American Writer Summit and an active volunteer with the Lao Family Community Organization of Philadelphia. Krysada Panusith Phounsiri is a Lao-American artist and engineer. He was born in Laos in 1988 and came to America with his family in 1989. A graduate of UC Berkeley in 2010, he holds a degree in Physics and Astrophysics Double Major and also a minor in Poetry. His debut collection is Dance Among Elephants, was published by Sahtu Press in 2015. His work has been featured in the Journal of Southeast Asian American Education and Advancement and the Smithsonian’s “A Day In The Life Of Asian America” digital exhibit. He recently received first place for Poem of the Year in the Rhysling Awards of the Science Fiction Poetry Association. Thavisouk Phrasavath is a poet, but also a 2010 Emmy-winning director whose work was nominated for a 2009 Academy Award (Oscar) and Film Independent Spirit Award. He is an accepted member of WGAW (Writer Guild of America West). He has directed documentaries, dramatic short and music video for independent record label and artists, published poetry and won awards for paintings and illustrations. He is the author of the book Step Out of the Womb (Memoir of the Journey to Land Where the Sun Fall). His background in community work includes assisting Gang Prevention for Youth and Family Crisis Intervention and working with the police as a liaison and consultant for the Lao community. Thavisouk Phrasavath has consulted for the New York City Board of Education. The Betrayal (Nerakhoon) was the film that he was both subject and a filmmaker. Peuo Tuy is a spoken word poet, writer, motivational speaker, and workshop leader. She is currently in Minnesota preparing to pursue a Masters in Education. Her poetry collection, Khmer Girl, is inspired by the traumas of her life, including her family’s escaped from the killing fields of her native Cambodia and challenges as refugees in the United States. She has appeared at the Nuyorican Poets Cafe, Bowery Poetry Club, Harlem Book Fair, and the New York Foundation for the Arts as well as various junior high schools and high schools. She is one of the founding members of the Cambodian American Literary Arts Association (CALAA). Dr. Bunkong Tuon was born several years before the Khmer Rouge takeover in Cambodia and, in 1979, left with his extended family for the Thailand-Cambodia, where he spent several years in refugee camps before immigrating to the United States in 1982. He earned a BA in Comparative Literature from CSULB in 2000, and a MA and a PhD, also in Comparative Literature, from the University of Massachusetts in 2008. His research interests are in the fields of Asian American studies, Southeast Asian American literature and history, trauma studies, testimonial discourse, creative writing, translation theory and practice, and folklore studies. At Union College, he teaches courses in Asian-American literature and history, Southeast Asian American literature and history, the Viet Nam War, ethnic literature, and Kingston & Morrison. His articles on Southeast Asian American authors, the Vietnam War, and translation studies are published in MELUS, Mosaic, Children’s Literature Association Quarterly, Postcolonial Text, Pedagogy, and Culture and Poetics. In addition to his scholarship on Southeast Asian-American literature and history, he also publishes creative nonfiction and poetry. His forthcoming publications include Nerve Cowboy, Mas Tequila Review, Silver Birch Press, Chiron Review, New York Quarterly, and Patterson Literary Review. Gruel, his first full-length collection was recently released by NYQ Press. Sokunthary Svay is a Pushcart-nominated Khmer writer and musician from the Bronx. She and her family were refugees from Cambodia who survived the genocidal Khmer Rouge regime. She is the poetry editor for Newtown Literary, and a founding member and Board President of the Cambodian American Literary Arts Association (CALAA). She has been published in Women’s Studies Quarterly, Prairie Schooner, LONTAR, and Mekong Review, Perigee, and the Margins. She is a recipient of the American Opera Projects’ Composer & the Voice Fellowship for 2017-2019. Her first poetry collection, Apsara in New York (Willow Books), was published this fall with a launch at the acclaimed Poets House. U Sam Oeur was born in Svay Rieng province in 1936. He spent his childhood herding water buffalo and tending rice paddies in the Cambodian countryside. He was later educated under the French colonial system and selected to attend California State University in Los Angeles. While in the United States, he went on to receive his MFA from the Iowa Writers’ Workshop in 1968, after which he returned to Cambodia and was part of the Cambodian delegation to the United Nations. During the Khmer Rouge regime, he survived by feigning illiteracy, but lost his twin daughters. A devout Buddhist, U Sam Oeur is the author of the bilingual collection of poems Sacred Vows. His memoir, Crossing Three Wildernesses, written with Ken McCullough, was published in 2005. Mai Der Vang was born on October 20, 1981, in California’s Central Valley. She earned her MFA in poetry from Columbia University where she was awarded the Corrente Poetry Fellowship. Vang received her BA in English from the University of California, Berkeley. Her debut poetry collection, Afterland, was selected by Carolyn Forché as the winner of the 2016 Walt Whitman Award, given by the Academy of American Poets, and was published by Graywolf Press in April 2017. Vang’s poems have appeared in Ninth Letter, The Journal, The Cincinnati Review, The Missouri Review Online, Radar, Asian American Literary Review, The Collagist, and elsewhere. Her essays have been published in the New York Times, the Washington Post, and the San Francisco Chronicle, among others. As an editorial member of the Hmong American Writers’ Circle, she is coeditor of How Do I Begin: A Hmong American Literary Anthology (Heydey, 2011).She has received residencies from Hedgebrook and is a Kundiman fellow. Vang lives in Fresno, California, where she works as a writing/creative consultant. Kao Kalia Yang, author of The Latehomecomer, is the co-founder of a company dedicated to helping immigrants with writing, translating, and business services. A graduate of Carleton College and Columbia University, Yang also co-hosts a weekly radio program focusing on the Hmong community and has recently released The Place Where We Were Born, a film documenting the experiences of Hmong American refugees. Her second memoir is The Song Poet. The Latehomecomer has been selected as an NEA Big Read. 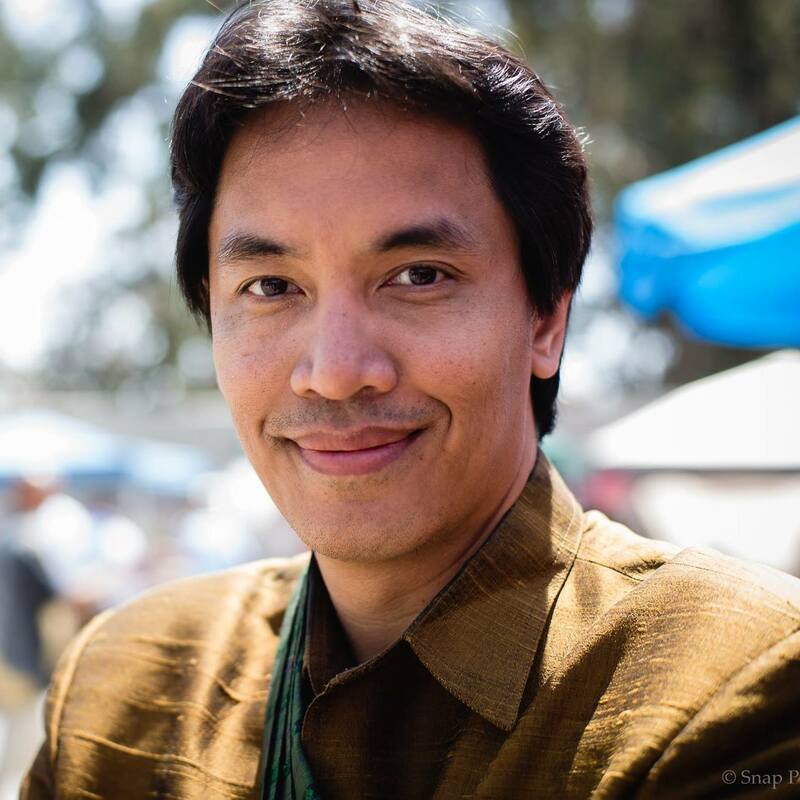 Soul Vang received an MFA from California State University, Fresno. He is the author of Song of the Cluster Bomblet(forthcoming from Blue Oak Press) and To Live Here(Imaginary Friend Press, 2014). A U.S. Army Veteran, Vang received the Fresno Arts Council’s Horizon Award and is an editorial member of the Hmong American Writers’ Circle (HAWC). Burlee Vang is the author of The Dead I Know: Incantation for Rebirth (Swan Scythe Press, 2010) and coeditor of How Do I Begin? A Hmong American Literary Anthology (Heyday, 2011). His prose and poetry have also appeared in Ploughshares, Alaska Quarterly Review, and North American Review, among others. Also a filmmaker, he was awarded the Academy of Motion Picture Arts and Sciences’ 2011 Nicholl Award. He teaches at Long Beach City College and lives in Cerritos, California. Khaty Xiong was born to Hmong refugees from Laos and is the seventh daughter of fifteen brothers and sisters. She is the author of debut collection Poor Anima (Apogee Press, 2015), which is the first full-length collection of poetry published by a Hmong American woman in the United States. In 2016, she received an Ohio Arts Council Individual Excellence Award in recognition of her poetry. Xiong’s work has been featured in The New York Times and How Do I Begin? : A Hmong American Literary Anthology (Heyday, 2011), as well as on the Poetry Society of America’s website. She lives in Gahanna, Ohio. Jenna Le has a B.A. in mathematics and an M.D. A Minnesota-born Vietnamese-American, she is the author of Six Rivers (NYQ Books, 2011) and the award-winning A History of the Cetacean American Diaspora (Anchor & Plume Press, 2016). Her poetry, fiction, essays, criticism, and translations appear or are forthcoming in AGNI Online, Bellevue Literary Review, The Best of the Raintown Review, The Los Angeles Review, Massachusetts Review, The Village Voice, and elsewhere. Brandy Liên Worrall is author of What Doesn’t Kill Us, a groundbreaking memoir about growing up in the din of her Vietnamese mother and American father’s trauma from the Vietnam War, and how it related to her breast cancer experience as a young adult. She is also the author of eight collections of poetry (the podBrandy series), as well as having served as editor of numerous magazines, journals, and anthologies. She is the owner and editor of Rabbit Fool Press, a small family-owned-and-operated publishing company based in Vancouver. Brandy received her MA in Asian American Studies from UCLA in 2002 and her MFA in Creative Writing from the University of British Columbia in 2012. She is represented by the Anne McDermid & Associates Literary Agency. Do Nguyen Mai is a history and journalism student living in the Los Angeles area who aspires to, in the near future, continue her studies in Virginia or DC. She is the author of the award-nominated Ghosts Still Walking and the founder of the Rambutan literary journal. Hai-Dang Phan is a 2017 National Endowment for the ArtsFellow in Creative Writing. His poems have been published in The New Yorker, Poetry, Best American Poetry 2016, jubilat, Prelude, New England Review, and elsewhere. His work has received support from the Bread Loaf Writers’ Conference, the American Literary Translators Association, and Grinnell College, where he is currently an assistant professor of English. The author of the chapbook Small Wars (Convulsive Editions, 2016), he is at work on his first collection of poetry. Born in Vietnam, he came to the U.S. as a refugee and grew up in Wisconsin. He holds an MFA from the University of Floridaand a PhD from the University of Wisconsin-Madison. He lives in Des Moines, Iowa. Hoa Nguyen is the author of five books and more than a dozen chapbooks, including Violet Engery Ingots (Wave Books, 2016), Tells of the Crackling (Ugly Duckling Presse, 2015), Red Juice: Poems 1998-2008 (Wave 2014), and As Long As Trees Last (Wave, 2012). With her husband, the poet Dale Smith, she founded the small press and journal Skanky Possum. Nguyen lives in Toronto where she teaches poetics in a private workshop and at Ryerson University, as well as Miami University and Bard College. Barbara Tran was born in New York City and earned a BA from NYU and an MFA from Columbia University. Her first published poetry collection, In the Mynah Bird’s Own Words (Tupelo Press, 2002), was selected as a PEN/Open Book Award finalist. She coedited the anthology Watermark: Vietnamese American Poetry and Prose (1998) and guest edited Viet Nam: Beyond the Frame, a special issue of Michigan Quarterly Review (Fall 2004). Tran is the recipient of a Lannan Foundation Writing Residency, Bread Loaf Writers’ Conference Scholarship, MacDowell Colony Gerald Freund Fellowship, and Pushcart Prize, and is featured in filmmaker Yunah Hong’s documentary Between the Lines: Asian American Women’s Poetry. Linh Dinh was born in Saigon, Vietnam in 1963, came to the U.S. in 1975, and has also lived in Italy and England. He is the author of two collections of stories, Fake House (Seven Stories Press 2000) and Blood and Soap (Seven Stories Press 2004), and the novel Love LIke Hate (Seven Stories Press, 2008). His collections of poetry include All Around What Empties Out (Tinfish 2003), American Tatts (Chax 2005), Borderless Bodies (Factory School 2006), Jam Alerts (Chax 2007), and A Mere Rica (Chax Press, 2017). An photo book chronicling his journeys across the United States was published as Postcards from the End of America (Seven Stories Press, 2017).His work has been anthologized in several editions of Best American Poetry and Great American Prose Poems from Poe to the Present, among other places. Linh Dinh is also the editor of the anthologies Night, Again: Contemporary Fiction from Vietnam (Seven Stories Press 1996) and Three Vietnamese Poets (Tinfish 2001), and translator of Night, Fish and Charlie Parker, the poetry of Phan Nhien Hao (Tupelo 2006). He has also published widely in Vietnamese. Dinh is the recipient of a Pew Foundation Grant, the David T. Wong Fellowship, a Lannan residency, and the Asian American Literary Award. Lawrence-Minh Bùi Davis is a founding director of the Washington, DC-based literary arts nonprofit The Asian American Literary Review, serving as co-editor-in-chief of its critically acclaimed literary journal and overseeing development of its global digital education project, the Mixed Race Initiative. He is also a consultant with the Smithsonian Asian Pacific American Center, responsible for developing the Smithsonian’s first nationally touring pan-Asian Pacific American exhibition, “I Want the Wide American Earth: An Asian Pacific American Story,” and for coordinating the ongoing Smithsonian Asian-Latino Project, a collaboration between the Smithsonian Asian Pacific American Center and the Smithsonian Latino Center. Since 2005 he has taught Asian American literature, Asian American film, and mixed race studies for the Asian American Studies Program at the University of Maryland. He earned a Master of Fine Arts in Creative Writing from San Diego State University in 2005 and a PhD in English Language and Literature with a focus on Asian American literature at the University of Maryland in 2014. His fiction, poetry, and creative nonfiction have appeared in Gastronomica, McSweeney’s Quarterly Concern, Kenyon Review, AGNI online, The Literary Review, New York Quarterly, Louisville Review, and Fiction International, among other journals. Of course, there are many other voices, but I think you’ll find their work an excellent place to start, and their work speaks particularly deeply to me for their heart and imagination, their exceptional vision of who they and their communities have been, and yet might be.